Share SpeakPipe with your friends ! 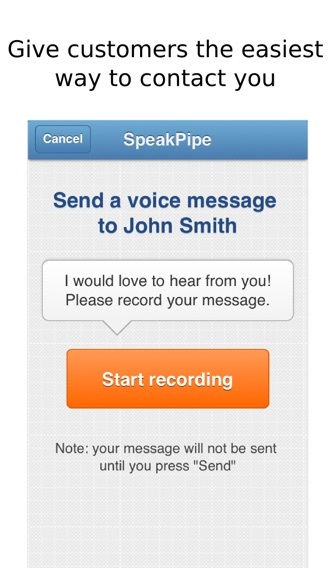 What is new in SpeakPipe? 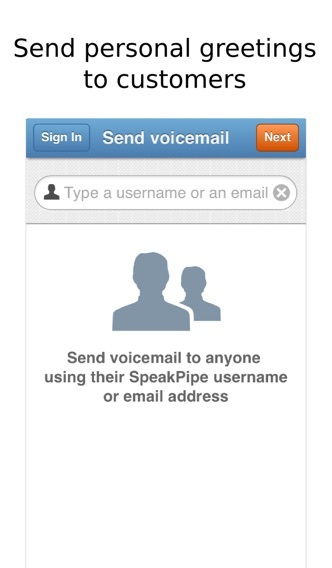 SpeakPipe makes it easy for your customers to contact you, leave questions or testimonials via voice messages. 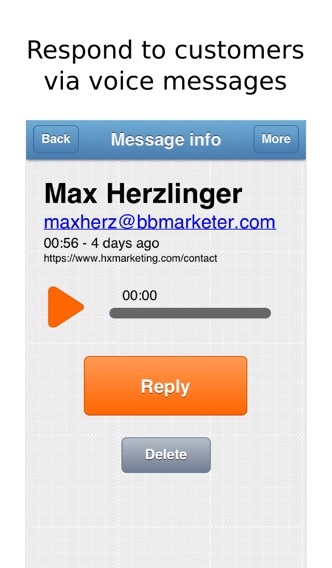 You can reply to messages and send personal greetings to your customers. 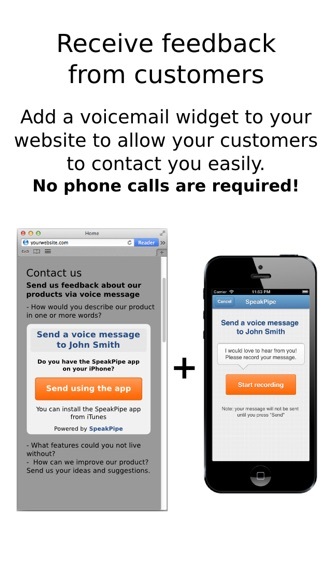 You can put the SpeakPipe voicemail widget on your website and your customers will be able to send you voice messages using only their browser and computer's microphone or mobile device. 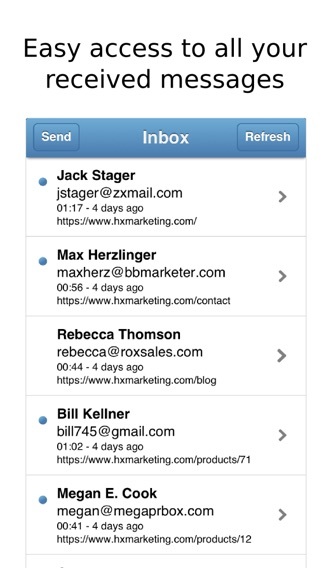 It's a great tool for building personal relationships with your audience. There are endless possibilities and it's up to your creativity how you use this method of communication.